The upside in turmeric futures (Apr) may remain restricted near 6400 levels. Thenew crop arriving in the key producing regions of Tamil Nadu and Telangana in addition with expectation of a higher crop may keep the upside capped. The deficiency of cultivation area in Telangana & Tamil Nadu has been covered up by Maharashtra, where the area under turmeric has increased substantially this year and hence they are expecting an increase of 15 per cent in turmeric production in 2018-19. Also, the demand is sluggish mainly due to the higher moisture content in the produce being brought by farmers to the markets. According to the marketparticipants this season there is hardly any demand, whereas normally, it comes in from January 15 and peaks during March. Jeera futures (Mar) is seen taking a Uturn upside towards 15880-16000, forming a base near 15400 levels. Taking advantage of lower level buying the market participants have started taking long positions as this season India has become the sole supplier of jeera to the world. The competitive producers Syria & Turkey are getting washed out of trade & uncompetitive in the export market. The exporters are getting ready to begin their buying spree quality of this year crop is expected to be good. With arrivals of the new crop expected by mid-February and prices already moving higher, the sentiments are turning to be bullish. Coriander futures (Apr) will possibly trade range bound within 6065-6320 levels. The downside may remain capped as the spot markets in in Rajasthan, Gujarat and Madhya Pradesh are sending positive signals since the farmers are not interested in bringing their produce in mandis at existing lower prices. Soybean futures (Mar) may face resistance near 3785 levels & trade with a negative bias. India’s soybean output is likely to rise by a staggering 38 per cent this year on a sharp increase in average yield across the country, following favourable climatic condition in major cultivating states including Madhya Pradesh, Maharashtra and Rajasthan. 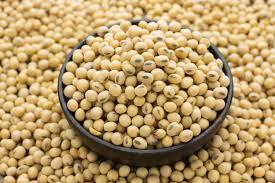 Data captured through the latest assessment of farmers, traders and other stakeholders by the apex industry body the SoybeanProcessors’ Association (SOPA) showed India’s total soybean output standing at 11.48 million tonnes during the ongoing harvesting season as compared to 8.36 million tonnes in the previous season. Mustard futures (Apr) is expected to consolidate in the range of 3920-3960 levels. Heavy rains and hailstorms that lashed north-western India last week have caused damage to the oilseed. Ref. soy oil futures (Mar) is expected to trade with a negative bias facing resistance near 762 levels. CPO futures (Feb) may fall further & test 553 levels. Vegetable oil imports for the period from November 2018 to January 2019 stood at 36,20,316 tonnes — nearly flat as compared to what was reported in the same period last year. According to the data compiled by the Solvent Extractors’ Association of India (SEA), imports of palm oils — including RBD Palmolein and CPO — touched 23.18 lakh tonnes (lt), up from 22.74 lt reported in the same period last year. In news, The U.S. soybean processing pace slowed slightly in January from the previous month, although the crush was still the largest on record for the first month of the year, according to analysts polled ahead of a monthly National Oilseed Processors Association (NOPA) report. The monthly NOPA report will be released at 11 a.m. CST (1700 GMT) on Friday. Turmeric futures (Apr) is expected to gain further towards 6405 taking positive cues from the spot markets. 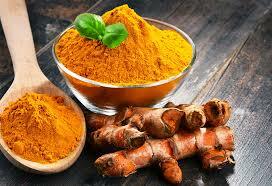 Traders at the markets in Erode evinced interest in buying the new turmeric. 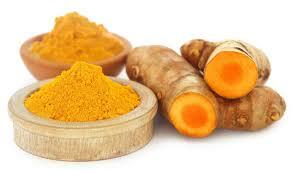 On Thursday, the arrival of new turmeric increased to 1,500 bags. Regarding the prices, root variety decreased in all the markets due to quality, while good numbers of finger turmeric were sold. Jeera futures (Mar) is expected to rally towards 15920 levels, taking support near 15675. Spot jeera prices continued to rule steady at major markets in Gujarat in limited trade on matching demand and supply. This season, Gujarat has witnessed lower sowing, but due to cool weather persisting for a longer time, the yields are expected to get better. In Rajasthan, the climatic conditions are also proving to be beneficial for the standing crop & hence the production is likely to be higher. Coriander futures (Apr) is expected to face resistance near 6420 levels. Spot coriander prices are trading with a bearish bias at major markets in Gujarat, Madhya Pradesh and Rajasthan due to heavy arrivals from the ample old stocks. While, prices quoted lower at major markets in Gujarat due to increased arrivals & having higher moisture content. On the other hand, there was no report of new crop arrival in Madhya Pradesh. Turmeric futures (Apr) is expected to take support near 6280 levels & witness short covering taking positive cues from the spot markets. The arrival of turmeric has been increased on Tuesday. The upcountry demand is expected within a fortnight. The market participants are expecting the arrival of the new Erode Turmeric by the first week of March, when abundant demand from North India may be received by the traders. Jeera futures (Mar) is expected to rally towards 15700-15800 levels, taking support near 15540. Spot jeera prices continued to rule steady at major markets in Gujarat in limited trade on Tuesday id matching demand and supply. This season, Gujarat has witnessed lower sowing, but due to cool weather persisting for a longer time, the yields are expected to get better. In Rajasthan, the climatic conditions are also proving to be beneficial for the standing crop & hence the production is likely to be higher. Coriander futures (Apr) is expected to plunge towards 6000-5900 levels. Spot coriander prices are trading with a bearish bias at major markets in Gujarat, Madhya Pradesh and Rajasthan due to heavy arrivals from the ample old stocks. While, prices quoted lower by Rs.20 per 20kg at major markets in Gujarat due to increased arrivals & having higher moisture content. On the other hand, there was no report of new crop arrival in Madhya Pradesh. Cotton futures (Feb) is likely to witness a bounce back amid lower level buying taking support near 20400. The statistics of lower output this season may lend cushion to the prices. In its latest estimates, the Cotton Association of India has further trimmed the crop size by 5 lakh bales to 330 lakh bales of 170 kg each for season 2018-19. This estimated crop size is the lowest in a decade. Guar seed futures (Mar) may show more sign of weakness & may even break the strong support near 4150 to test 4100-4050 levels, while guar gum futures (Mar) is expected to plunge further towards 8100 levels. The week-onweek declining ratio of guar seed to guar gum is depicting the fact that demand for these commodities are decreasing. Chana futures (Mar) is expected to show an upside momentum towards 4350, as soon as it surpasses the resistance near 4295 levels. The counter is trading higher at major markets in the country following firm cues from fresh physical trade activity at lower rates. Flour millers are actively purchasing chana due to cheaper prices and easy availability compared to White Pea. Moreover, the Cold waves and untimely rains may further damage the standing crop. Mentha oil (Feb) is likely to trade with a positive bias & may even rally up to test 1610, taking support near 1560 levels. Overall, sentiments are bullish as delayed sowing in the state is likely to affect the crop yield. As per reports, farmers are now worried as untimely rains and inclement weather conditions have delayed the sowing in key producing belts. The production is likely to be badly affected if weather conditions don't improve in the next few days. 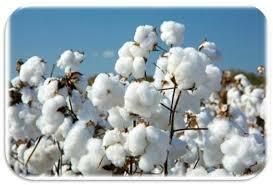 Cotton futures (Feb) is expected to trade sideways in the range of 20570-20780 levels. India's cotton crop estimate is further reduced by 5 lakh bales to 330 lakh bales (each of 170 kg) for the season 2018-19. 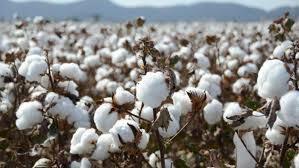 In its January 2019 estimate for India's cotton crop, the Cotton Association of India (CAI) lowered cotton cropestimate for the third time in a row citing water crisis in the growing region. Guar seed futures (Feb) may face resistance near 4240 levels, while guar gum futures (Feb) is expected to remain below 8445 levels. The sentiments are bearish due to lack of fundamentals & lack of clarity in direction of prices, the buyers are staying away from fresh buying. Anticipation of 60% probability of El Niño conditions to form and continue through the Northern Hemisphere spring 2019 has induced cautiousness among the market participants. However, one must keep a close look as both the counters are witnessing consolidation & open interest is declining, giving an indication of a possible trend reversal. Chana futures (Mar) is expected to trade higher taking support neat 4240 levels. Chana priced traded higher at major markets in the country following firm cues from futures, fresh physical trade activity at lower rates. Flour millers were also active in purchasing chana due to cheaper prices and easy availability compared to White Pea. Rain was reported today in many parts of Madhya Pradesh, Uttar Pradesh, Rajasthan and Haryana and is beneficial for standing crop of Chana.